On March 31, 1984, Marvin's parents had a domestic argument over misplaced business documents while Marvin, ill from drug use, lay in bed. Upon hearing this, he woke up and told his dad to leave his mother alone, though neither man physically attacked the other. The next day, April 1, the arguments started again. Marvin's brother Frankie and his wife, Irene, were next door when Irene heard the shots. When Irene rushed outside, she saw Marvin's mother screaming for help saying "He shot my son!" Frankie ran upstairs to see his dying brother struggling to breathe, while Irene called 9-1-1. Paramedics arrived to find Gaye Sr. sitting on the front porch. They demanded to see the gun before they would enter the house. Irene found it under Marvin Sr.'s pillow and threw it on the lawn. 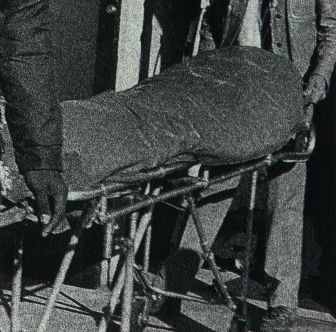 When police arrived, Gaye, Sr. was quickly escorted to the police station for questioning. 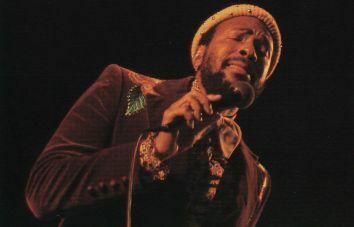 Gaye was pronounced dead on arrival upon his entry to the California Hospital Medical Center at 1:10 pm PST, dying a day before his 45th birthday (April 2). Fans and neighbors of Marvin's crowded around the scene of the crime shortly after hearing the news. Four days later, on April 5, Gaye was given a star-studded funeral, attended by over 10,000 mourners, including his Motown colleagues Smokey Robinson, Stevie Wonder and Motown CEO Berry Gordy, who was at one point, Gaye's brother-in-law. The singer's two ex-wives Anna Gordy Gaye and Janis Gaye and his three children, Marvin P. Gaye III, 18; Nona Gaye, 9; and Frankie "Bubby" Gaye, 8; also attended the funeral. Gaye had an open casket funeral led by one of his ministers from his Pentecostal church. Shortly afterwards, the singer's remains were cremated and Marvin's children and his ex-wife Anna spread his ashes at the Pacific Ocean. Around the same time, police interviewed Marvin Sr. on the events leading up to his son's murder. When asked if he loved his son, Marvin Sr. reportedly took his time before finally answering, "Let's just say I didn't dislike him". Shortly after their son's death, Alberta Gaye filed for divorce from Marvin Sr. after 49 years of marriage. 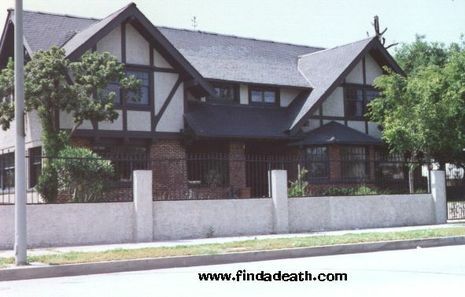 Marvin Sr., then 69 years old at the time of his son's death, continued to live in the Gramercy house until eventually he was sent to a rest home in Culver City, California, where he eventually died of pneumonia on October 10, 1998 at the age of 84. Marvin, who was in debt at the time of his death, reportedly left no will. In his autobiography, Marvin's friend Bobby Womack said he gave some money for Marvin's second ex-wife, Janis to help try to cover up Marvin's financial ruins leading to the death.